← If I were not a cat..
Free is nice. 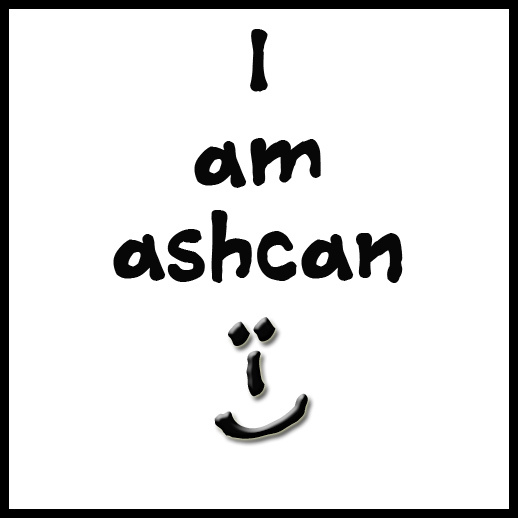 I like free.The internet truly abounds with free… free medical advice (always entertaining), free recipes, free fonts (I love free fonts – this week’s favorite is Ashcan, from http://www.1001freefonts.com/..
Ashcan is a good font for adding layer styles and for making smiley faces. 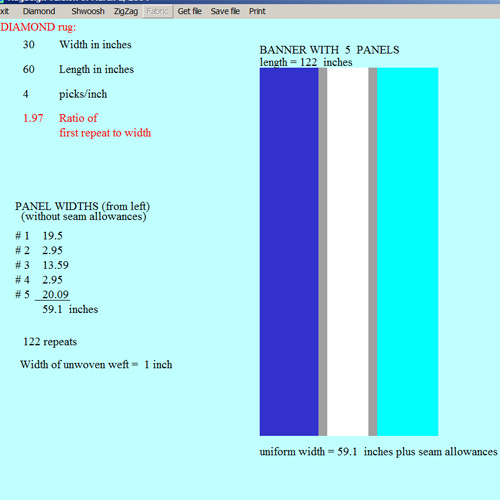 At http://www.subudesigns.com/downloads.cfm, you’ll find my favorite software for designing rag rugs. Actually, it’s the only software I’ve seen for designing rag rugs and it’s FREE! Just put in the parameters for your rug, pick some colors and see what happens. 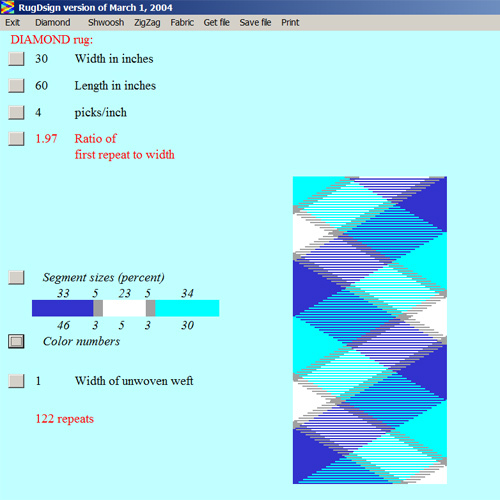 This is the diamond variation. 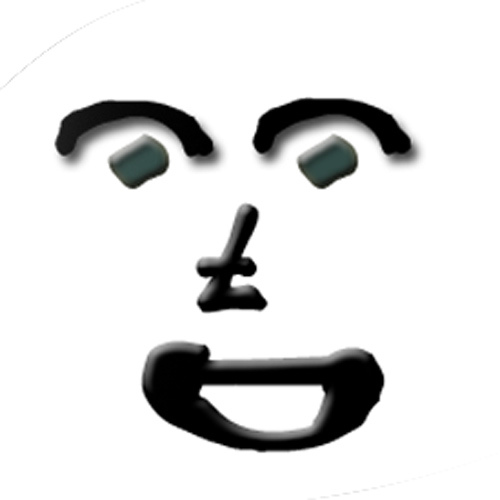 See what happens if I change the color ratios abit.. 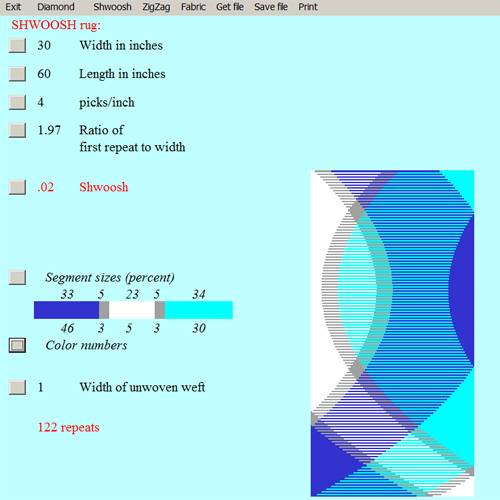 Choosing “fabric” from the menu bar gives you the layout for sewing and cutting your fabric..
Change colors, change percentages, change weft width..it’s fun! Not interested in a pattern, but wondering how much fabric for a 3 x 5 rag rug? Just put in one color and “fabric” will tell you. 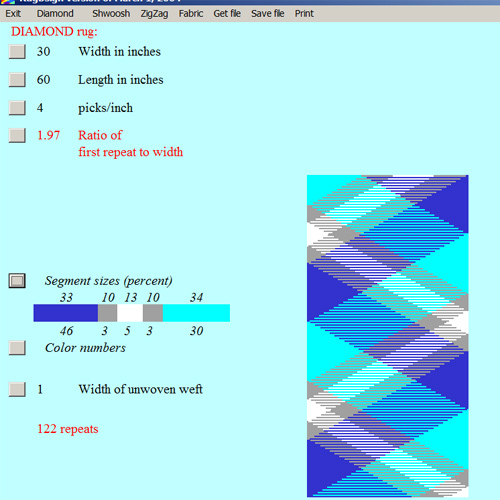 This website is a wonderful reference source for weaving drafts.. http://www.handweaving.net/Home.aspx AND it’s Free!